...the ultimate luxury rail cruise experience!! I touched down in the BVI and was met in splendid luxury - a limo to drive me to my hotel, a helicopter to fly me around and five-star treatment from the word "go". We spent the day looking at the different islands from the air and finally, toward the end of the day, we saw one that looked slightly more hospitable than the others and I indicated to my guide that this was the island I wanted to buy. A brief exchange on price then followed, after which, much to my surprise, I was quickly whisked away back to the helicopter base, where I was left to find my own way back to the airport in considerably less style. Two years later, however, the same company approached me again, saying that if I could slightly improve my offer, they would now be willing to listen - and so I bought an island. 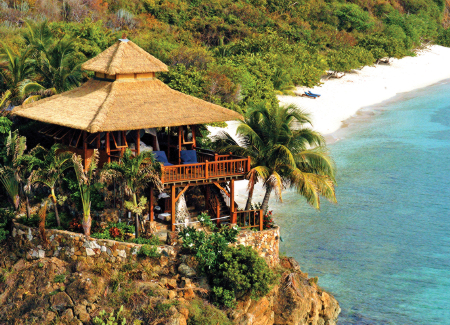 Necker Island >>> is situated in the British Virgin Islands. The nearest islands are Virgin Gorda (15 minutes by boat) and Beef Island/Tortola (30 minutes by boat). From Beef Island guests are collected by our high-speed boats (before sundown) unless guests prefer to travel by helicopter directly to the Island. Please note that if you fly into Barbados or St Lucia there are currently no connections that can be made on the same day to Tortola, you would have to overnight and catch a morning flight, unless you choose to charter your own small plane. 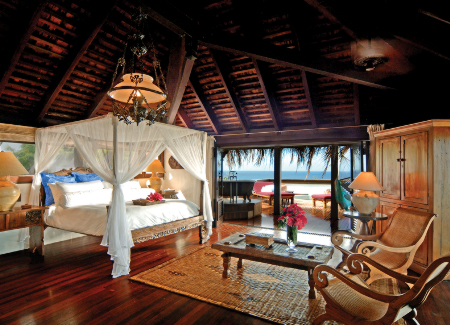 The island accommodates 26 - 28 people, in The Great House including The Master Suite and several one-bedroom Balinese houses. The Bali Cottages are within easy reach of the main house but offer a little more privacy for those who would like to escape from time to time. They each have an open-air sitting and dining area, which can be used for lunches during your stay or late night parties away from the main house. We have a full range of water sports available along with instruction, including windsurfing, waterskiing, sailing, wakeboarding and sea kayaking. We have some great areas for snorkeling and can take you to other areas of the BVIs for this too. For those who love the water but want to be less active, there are two main swimming pools and beaches offering safe swimming. There is also an aqua trampoline for extra fun! The Beach Pavilion is a wonderful place to spend the day (or night! ), and houses one of the most stunning pools around! It can be accessed from both land and beach sides, there is a swim-up bar complete with rocks in the pool where guests can sit and enjoy a drink. It is a freeform infinity pool complete with counter-current swimming, a water exercise machine and a waterfall. Within the pool complex is our thatched Crocodile Pavilion, complete with a large solid teak crocodile table where guests can be served fresh fare from the Pavilion"s gourmet kitchen. If you prefer to keep your feet dry we have plenty of options including two tennis courts, an air conditioned gymnasium, lots of board games, chess, books and a huge range of DVDs and CDs. There are also plenty of things we can arrange for you to do off the island such as deep sea fishing trips, scuba diving, yacht charters and helicopter trips for shopping or island hopping. Breakfast, lunch and dinner are informal affairs, laid out either in the dining room, around the pool or on the beach. The style of cuisine takes advantage of as many locally produced fruit and vegetables as possible and fresh fish is always a favorite. Guests can choose to let us make all the arrangements or can have menus designed especially for them. Beach barbecues are always a favorite, whilst the sushi bar in the Infinity pool is a once in a lifetime experience. The chefs love to do themed nights, our Chinese Yum Cha night for example. The island staff will make all of the arrangements for you, creating settings and menus you will remember long after you return. Your wedding on your private island, and you don"t have to worry about a thing! You decide what, when, where and for how long - just tell us how you want it, and it will be yours. You also have a myriad of stunning places for the ceremony and celebrations to choose from, whether it be a palm-fringed beach, a terrace with panoramic sea views or by the pool. Or make use of the entire Island and plan events at different locations. You also set the mood; you might prefer a formal day complete with a banquet dinner and string quartet, or a grand affair finished off with a fireworks display or maybe you just want to get married barefoot on the beach, followed by a bonfire barbeque. When planning your wedding we will always be available by phone and e-mail to discuss everything, because we know that you will want everything covered and everything organized just the way you want it. Depending on your location, we may also be able to meet up with you in person. 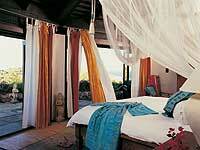 Our wedding prices are simply the normal Necker Island rates with the things you want added on. That means you can just opt for the celebrant and have your loved ones take the pictures, or take a full package including everything from eyelash tinting to fireworks! It also means you never have to worry about running out of champagne or food that you don"t need to think of a wet weather alternative because we have plenty of beautiful places indoors as well as outdoors and after the excitement of the day it is only a short walk to your room. The next morning you will wake up in one of the world"s most perfect honeymoon locations. Please get in touch with our Office for a wedding tailored exactly for you. Necker is the ultimate private island, a divine haven of tranquility and sublime barefoot luxury and a favorite hideaway for those in search of peace and privacy. If you"re not looking to hire the Island all on your own, you can still have a Necker Island experience during Celebration Weeks - a unique opportunity to book individual rooms on this exquisite private island, where couples can enjoy the facilities "in house" party style. 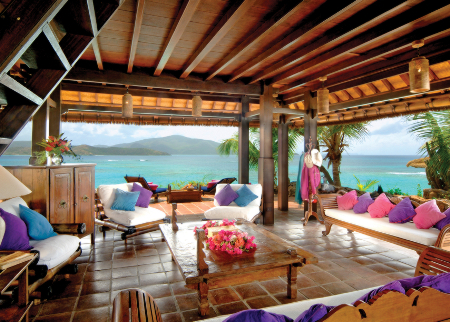 Days on Necker are heavenly. Guests can be as active as they wish or simply relax in a hammock and soak up the peaceful Caribbean ambience. Sports enthusiasts will love the endless choice of activities on offer, from kayaking to wakeboarding, sailing races and snorkeling. For serious workouts there"s tennis with a pro and a deluxe gymnasium with stunning vistas of the sea, while two gorgeous swimming pools and the clear turquoise waters of the Caribbean beckon all water babes. Indulge the senses at Bali Leha, the island"s beautiful spa. Built into a cliff overlooking the sea, Bali Leha offers an enticing selection of treatments that revive the body and soul, accompanied by the gentle sounds of the lapping waves below. Gourmet dining and great entertainment are all part of the Necker experience alongside service that is second to none. Each evening brings new surprises, from a dazzling casino night to sushi served on candle-lit boats in the pool and dancing to the sound of a calypso band. Most credit cards can be used for shopping in the British Virgin Islands. Doctor 20 minutes away, hospital 90 minutes away (subject to local conditions at the time). Emergency medical evacuation available by helicopter (subject to local conditions at the time). Guests will be charged for the above services. Arrival and departure times to be agreed on booking. Guests are advised to carry with them proof of citizenship (passport, or original birth certificate with photo I.D.) for clearing British Virgin Islands Customs and Immigration services. Travelers from outside North America and the UK should check for visa requirements. A government tax of €10 is levied upon departure from the airport. Beef Island, Tortola 10 minutes. Antigua to Virgin Gorda 1 hour 10 minutes. A team of approximately 50 fabulous staff. Kayaks, Water-skiing equipment, Snorkelling equipment, Inflatable banana etc. Extensive video, book and music libraries, and board games.